Michael J. Barone (Ph.D., University of South Carolina) is an assistant professor of marketing in the College of Business Administration at Iowa State University, Ames, Iowa. 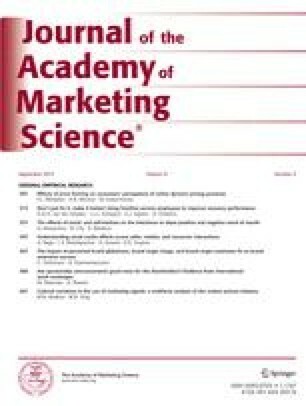 His research, which primarily involves consumer responses to advertising and consumer choice, has been published in theJournal of Consumer Research, theJournal of Marketing Research, theJournal of Consumer Psychology, Marketing Letters, theJournal of Advertising, theJournal of Advertising Research, theJournal of Business Research, and theJournal of Public Policy & Marketing, as well as in various conference proceedings. Anthony D. Miyazaki (Ph.D., University of South Carolina) is an assistant professor of marketing in the School of Business Administration at the University of Miami, Coral Gables, Florida. His research focuses on risk and decision-making from buyer, seller, and public policy perspectives and has appeared in theJournal of Retailing theJournal of Public Policy & Marketing, Psychology & Marketing, theJournal of Business Logistics, and various conference proceedings. Kimberly A. Taylor (Ph.D., University of Pennsylvania) is an assistant professor of marketing in the College of Business Administration at Florida International University, Miami, Florida. Her research focuses on decision-making and consumer behavior. Her work has been published inOrganizational Behavior and Human Decision Processes, Marketing Letters, theJournal of Marketing Education, and various conference proceedings.